Rolls-Royce Owners’ Club launches new publication and Sandra Liotus Lighting Design is proud to have been invited into its pages. The Chubb Masterpiece Protection Network: The protection provided to works of art by The Newport Flyer™, along with Sandra Liotus Lighting Designs high standards of service and careful attention to detail, has earned the firm a valued spot in the Chubb Insurance Masterpiece Protection Network, a coveted imprimatur of Chubb’s preferred serviced providers. As the premier global insurer of fine homes, autos, yachts and other valuables including art collections, Chubb’s professional recommendation of SLLD to its policy holders, particularly those who own and collect fine art work, is quantifiable testimony to the worldwide esteem and reputation SLLD’s lighting solutions, designed for the ultimate appreciation and long-term conservation of the art investment, has garnered for these American entrepreneurs. The Association of Professional Art Advisors (APAA) is a non-profit membership organization of the world’s leading fine art advisors, curators and corporate art curators. 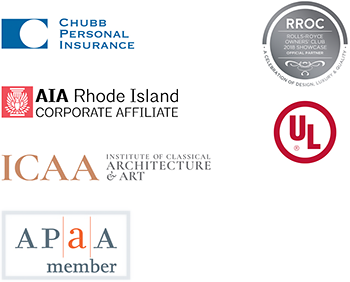 With more than 170 independent art advisors from 31 cities practicing in multiple areas of specialization, the APAA’s membership of well-established professionals has a wide range of experience and expertise in their chosen fields. Founded in 1980, the APAA is the only standard-setting organization for the practice of art advisory and is dedicated to promoting standards of connoisseurship, scholarship and ethical practice in the profession. APAA members are recognized experts in their fields and are committed to promoting the value of art in the public and private sectors. As advisors, we are objective advocates who work solely in the best interests of our clients. Sandra Liotus Lighting Design, LLC embraces the values of the APAA community and is honored to be part of this global community and share in their goals to foster excellence in art collections, collectors and their care. Writes Jill Connors – "In a gesture that once captures the seriousness with which they take their work, and their awareness of the power of perception, lighting specialists Sandra Liotus and David Crampton-Barden don starched white lab coats on their job sites."